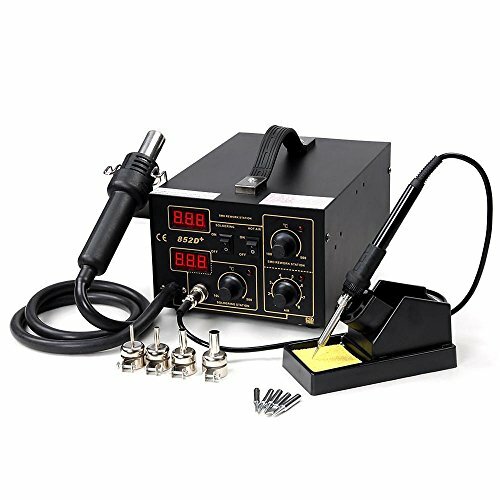 This is a brand new 2in1 SMD Rework Soldering Station 852D+. You can use hot air gun and soldering iron separately, with no interference with each other. SAMSUNG chip control circuit Adopted, it ensures rapid warming-up and stable accurate temperature control which at the same time not affected by airflow to really achieve lead-free soldering and desoldering. Especially suitable for mounting and reworking SMD components by hand.